Papasan swivel rockers are a comfortable fashion statement. 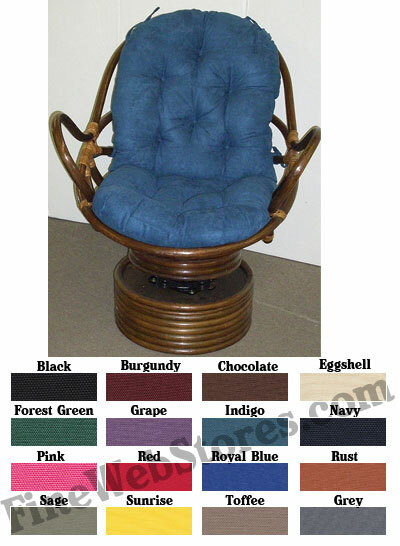 The problem is many times the papasan rocker frame outlives the cushion. FineWebStores.com to the rescue! We sell excellent quality replacement papasan cushions! Our cushions are comfortable and approximately 5 inches thick. They are filled with soft polyfill.